Satan cannot drive out Satan. A house, or a kingdom, cannot be divided against itself. The synoptic gospels of Matthew, Mark, and Luke all record this profound event in the earthly ministry of Jesus Christ. After healing a demon-possessed man, Jesus is confronted by the Pharisees, the pious religious leaders of the time, who question what authority Jesus has to cast out demons. They suggest, since Jesus certainly can’t possibly be working through the power of God, that it must be Satan, the devil, that’s given Him the power to drive out the demonic. I think it’s safe to say that Jesus’s profound theological observation—that Satan can’t work against himself—can be applied to the context of modern day miracles as well. Miracles, like those connected to the appearance or the intercession of the Virgin Mary, cannot possibly be explained as work of Satan. 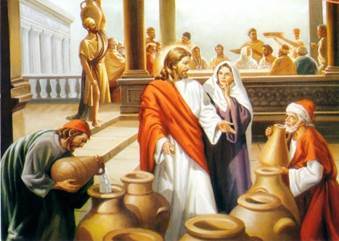 Miracles which, for all intents and purposes, draw millions to Jesus Christ Himself. When I dug deep into the historical miracles of the Catholic Church, especially those connected with the intercession and appearance of the Virgin Mary, I knew I had something enormous to contend with. What I found, dear reader, blew my mind. As a Protestant, especially a Pentecostal, miracles weren’t something wholly unfamiliar to my faith life or to my understanding of Christianity. Far from it. In the middle years of my University life I attended a charismatic Pentecostal church in town where faith healings, speaking in tongues, and being slain in the Spirit were par for the course in a Sunday evening meeting. I’ve witnessed miracles, to be sure. When I began to explore the Catholic Church, however, I was perplexed, as a Protestant, as to how miracles could be attributed to the intercession of Mary. To begin, I didn’t understand that notion of the intercession of the saints, so that didn’t help. But I worried, as well, that perhaps all those superstitious Catholics had the wool pulled over their eyes, so to speak, by the Father of Lies, Satan himself. I think this is a fairly common concern of evangelical Protestants—at least this was my experience. What if the miracles of Mary were nothing more than a garden variety strategy by Satan to lead the Catholic Church, and well-meaning Catholic Christians, away from the truth of Christ? What if, instead of raising up Christ, these miracles were a diabolical means to elevate Mary to the status of an idol? My fear, as a good Pentecostal Protestant, was that Satan had put Mary in the way of Christ. But how can a kingdom be divided against itself? It can’t. Jesus is clear. Because, as I’ve learned, the Marian miracles, and there are scores and scores of them, do not lead well-meaning people away from Christ, towards Mary. The Marian miracles lead millions to Christ. And that, absolutely, can’t be the work of Satan. In 1830 an apparition of the Virgin Mary appeared to Sister Catherine Labouré, a novice in the community of the Daughters of Charity in Paris, France. Over the course of several appearances, the Virgin Mary allegedly told Sister Catherine to have a medal fashioned in her image for faithful Catholics to wear around their necks. 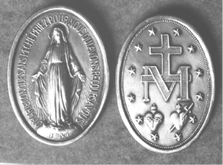 Now called the Miraculous Medal, the medal itself features highly symbolic imagery of Mary and asserts, among other things, her Immaculate Conception, a dogma which wasn’t proclaimed by the Church until 24 years later, although it had been piously believed since the early foundation of the Christian Church. Several things are critically important to understand about this story. The first is this. The Virgin Mary appeared to Sister Catherine—these days canonized as St. Catherine—at a critical junction in the life of the Church. Although widely held to be true, the Church hadn’t promulgated an official teaching on the Immaculate Conception of the Virgin Mary—that is, she was conceived from the very first moment, protected by God, from sin. St. Catherine’s apparition of the Virgin Mary appeared at just the right time, making even more popular the widely held belief by establishing a mission to create and distribute the Miraculous Medal and it’s message. The second important thing to understand is this. The body of St. Catherine is what the Church calls incorruptible. What does that mean? That means that coming up on 200 years after her death her body, which lies interred in the chapel where she first received this vision of the Virgin Mary, has not decayed. I’ll say that again: Her body has not decayed. For how long now? 200 years. What blows my mind, dear reader, is that not only have miracles been genuinely associated with the medal that the Blessed Mother gave to St. Catherine—that’s why it’s called the Miraculous Medal—but that, as if to underscore the reality of these miracles, Catherine’s body itself has not decayed, unpreserved, after nearly 200 years! 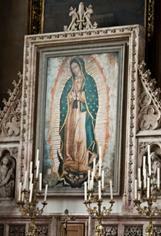 In a nutshell, the miracle of Our Lady of Guadalupe is something after the heart of Jesus. Of course, because Mary’s miracles don’t work through some incredible power of Mary herself—they point to Christ—so we should expect, as she often does, Mary to appear to the poor and destitute, the young and the sick, as Jesus did, and would. 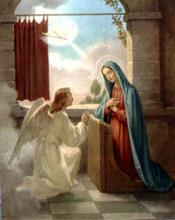 In 1531, the Virgin Mary appeared to a native American peasant named Juan Diego in a place just outside of Mexico City. Mary asked for Juan to petition the local bishop to have chapel build in her name. Juan, obviously awestruck, went to the bishop but his story wasn’t well received. In the course of several more appearances, and the continued reluctance of the bishop to believe Juan’s story, the Virgin Mary instructed him to gather some flowers into his cloak, flowers growing on a particular hill which, interestingly enough, weren’t native to the area (and shouldn’t have been growing at that time). Finding the flowers, Juan gathered them up and went to see the bishop. When he opened his cloak to show the bishop the flowers, as proof of the Virgin Mary’s appearance and the truth of his story, he revealed quite a bit more. Instead, the inside of Juan’s cloak was miraculously transformed into a deeply symbolic image of the Blessed Mother. Like the Miraculous Medal, 300 years later, the symbolism was incredibly rich, and the appearance of the image itself, entirely miraculous. In fact, and incredibly, like the incorruptible body of St. Catherine the very same cloak worn by Juan Diego, displaying the image of Our Lady, can still be seen today, nearly 500 years later. The cloak and it’s preservation from decay, subjected to rigorous scientific tests, is truly beyond the explanation of science. And pointing to Christ? The miracle of the cloak and word of its occurrence spread throughout Mexico and it’s believed that some eight million Aztec natives were converted to Christianity. The pilgrimage to see Juan’s cloak and the chapel which was, obviously, built in her name following the miracle, remains the largest pilgrimage in North America and sees millions of people every year come to celebrate Mass, and worship Jesus Christ, from all around the world. Finally, the miracles of Our Lady of Lourdes. In 1858, the Virgin Mary appeared to Bernadette Soubirous, a 14-year old peasant girl in Lourdes, France. In the course of several appearances, the Virgin Mary spoke to Bernadette who, like Juan, wasn’t at first believed by her parents and peers. But Bernadette insisted, and persisted, and Mary’s appearances culminated in the instruction to Bernadette to dig in a certain area of the ground, near the grotto, where Mary had been appearing. From the area Bernadette dug a spring appeared. This spring would later go on to be connected with scores of miraculous physical and spiritual healings and gain official status in the Church as a place of great importance. In fact, the incredible aspect of Lourdes, in my opinion, is the enormous body of evidence which exists to support the profound miracles perpetuated at this holy site. The Lourdes Medical Bureau, an organization which exists to examine and rule on possible miraculous healings, has declared 68 scientifically inexplicable miracles to have occurred at Lourdes. The Bureau itself is incredible in its sophistication and expertise made up on an enormous panel of expert doctors, including skeptics, from around the world and with a tightly-controlled and highly-regulated system for declaring what is, and isn’t, an unexplained miracle. Out of some 7,000 cases the Bureau has examined 68 may seem like a small amount of genuine healings. But, think about this, that’s still 68 healings that science cannot, in any sense, explain. 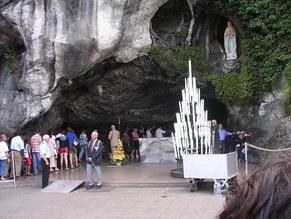 Lourdes, to this day, is one of the most popular Catholic pilgrimage sites in the world. A good, devout Catholic doesn’t need to believe in any of Mary’s miracles to be a Catholic*. The Church teaches that private revelation, like these sorts of miracles, can be believed, or not. Even in cases, like Lourdes, where the Church definitively declares a miracle to have taken place it’s up to the individual believer to necessarily subscribe to it, or not. Personally, and, obviously, there’s a lot of compelling stuff in here. For me, as a Protestant, I find no other way to explain these miracles than to say, flatly, that there’s something about Mary. Something incredible. Something blessed. If God doesn’t work through the intercession of the saints, if Mary was no one more special than a fourteen year old Jewish virgin, then why is her intercession the cause of these profound miracles? 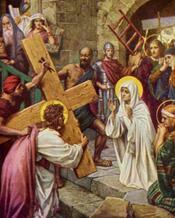 Why, if she is not, as Catholics assert, first amongst the saints, would God use her in this way? It would, in the end, truly be pulling the wool over the eyes of Catholics if God used Mary in this way and let us go on, happily, believing in her special place in the kingdom. If Mary isn’t who Catholics say she is, and if the saints aren’t to be venerated (asked to pray for us in the same way I ask my living, Christian friends to pray for me) then why would God allow her to appear, in this way, to mislead Catholics. Because, ultimately, it would be misleading if she appeared like this and she wasn’t someone special. Would God allow that? Would God use that? As a Protestant, I struggled for answers here. It would be, utterly impossible, however, for Satan to be working in this way. I think that’s clear enough. Satan could never, and would never, use anything that would lead so many millions of people to a relationship with Christ—and that is precisely what these Marian miracles do. There are only so many ways to explain our way out of this, and they all exhaust in a simple conclusion. And that conclusion, the truth about Mary, the saints, and their intercessory power, has blown my mind. A Comment: The Catechism of the Catholic Church says (#768): “So that she [the Church] can fulfill her mission, the Holy Spirit bestows upon [the Church] varied hierarchic and charismatic gifts, and in this way directs her.” The hierarchic gifts are the graces the faithful receive through the official teachings (doctrines) and Sacraments of the Church. The faithful have grave obligations to believe and accept them as they were established by God in His Church. The charismatic gifts refer to the graces through God’s interventions in the life of the Church at any time according to her needs. Messages, prophecies, warnings, and miracles belong to this latter category and, unlike the hierarchic gifts, do not formally impose the obligation to accept them on the faithful. This does not mean, however, that the charismatic graces are unimportant or unworthy of our trust and belief and we are free from the consequences of our failures to sincerely study and respond to the signs that are discerned to be truly from God. Both channels used by the Holy Spirit are essential in directing the Church and her members. The sentence above, which we frequently hear: “A good, devout Catholic doesn’t need to believe in any of Mary’s miracles to be a Catholic,” can be misunderstood as meaning that the charismatic gifts can be safely ignored. Those who despised or ignored God’s warning through Noah all perished. Whereas the messages and miracles of Our Lady of Guadalupe brought enormous blessings to the Aztec Indians and eventually to entire Latin America.